Our vision is to set the standard of excellence for the electrical contracting industry. We constantly strive to improve upon our processes and performances in order to deliver you unsurpassed value and satisfaction. Hatzel & Buehler has a continuing commitment to provide a safe working environment. Our safety record exceeds the industry standard, and we maintain an ongoing effort to develop new and better health and safety plans. 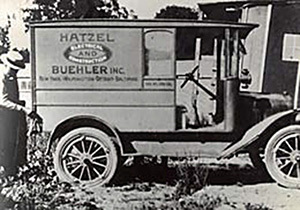 Affiliated with the International Brotherhood of Electrical Workers and the National Electrical Contractors Association, Hatzel & Buehler has the distinction of being the longest continuous member in the National Electrical Contractors Association.